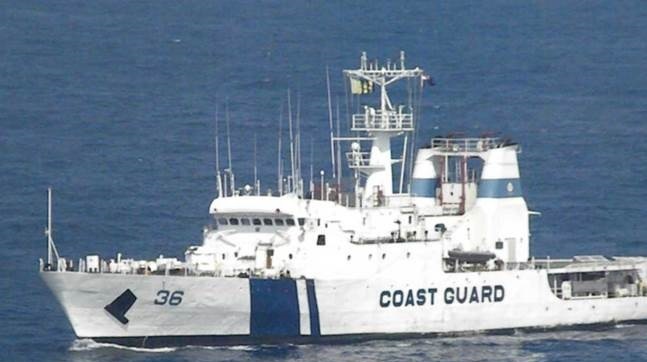 Indian Coast Guard launches patrol ship ICGS VARAH This patrol vessel has been brought in to patrol the sea coast. This is an offshore control vessel, it was launched in Chennai's Larsen and Toubro Kattupalli Shipyard. It is the fourth patrol vessel of 98 M OPV category. It is manufactured indigenously by Larsen & Toubro. Advanced navigation and communication equipment, sensors and machinery have been used in this vessel. It uses 30 mm and two 12.7 mm guns. Its maximum speed is 26 knots. Integrated Bridge System, Automated Power Management, Integrated Platform Management High Power External Fire Fighting System. Three years ago, the Union Ministry of Defense had given a contract to Larsen & Toubro to manufacture seven OPVs in March 2015. So far, two OPVs have been handed over to the Indian Coast Guard by the company. They are currently deployed on the west coast and east coast of India. Third Coast Guard patrol will be handed over to the Coast Guard at the beginning of 2019. It has also been announced that till March 2021, seven OPVs will be handed over to the Coast Guard.